Taking pride of place on the 100 naira bill, Zuma Rock is one of the top tourist attractions in Nigeria. 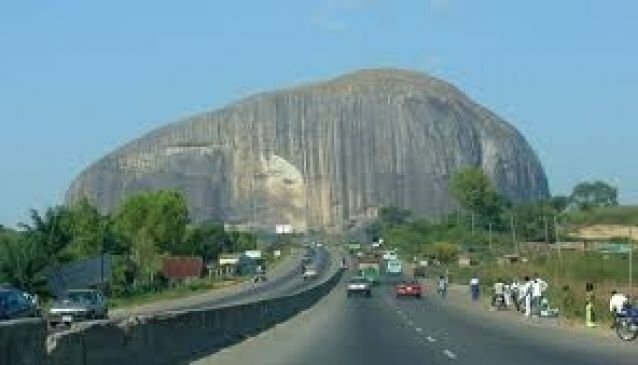 Rising imposingly from the flat topography of the surrounding area, this colossal granite monolith is hard to miss, with its position towering above the long highway into Abuja. Standing at 625 ft tall, this Nigerian landmark is a must-see on any trip to nearby capital Abuja, and is visible from anywhere in the city. Known as the 'Gateway to Abuja', Zuma Rock is located in central Niger State. There is a place to eat and drink at the rock and there is also light entertainment to pass the moment and solitude.